Since my little toddler is not going to school yet, and there are lots of instances where I need to run errands that usually take almost the whole day (waiting game included), I sometimes make it a point to bring her and her yaya with me. It's a great opportunity to take her out of the house and beyond the gates of our village. 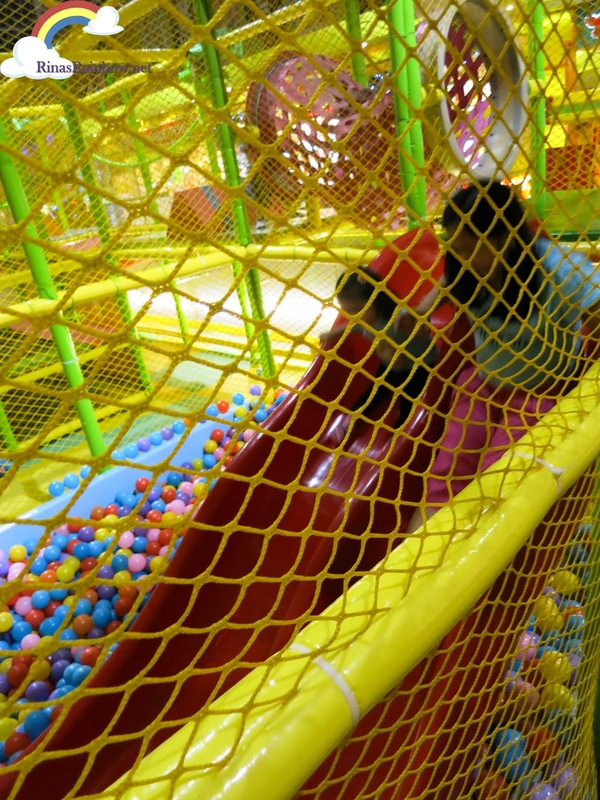 And what do you do to entertain your toddler while inside a mall? You take her to a play place! It must seem like Disneyland to little kiddos like her. 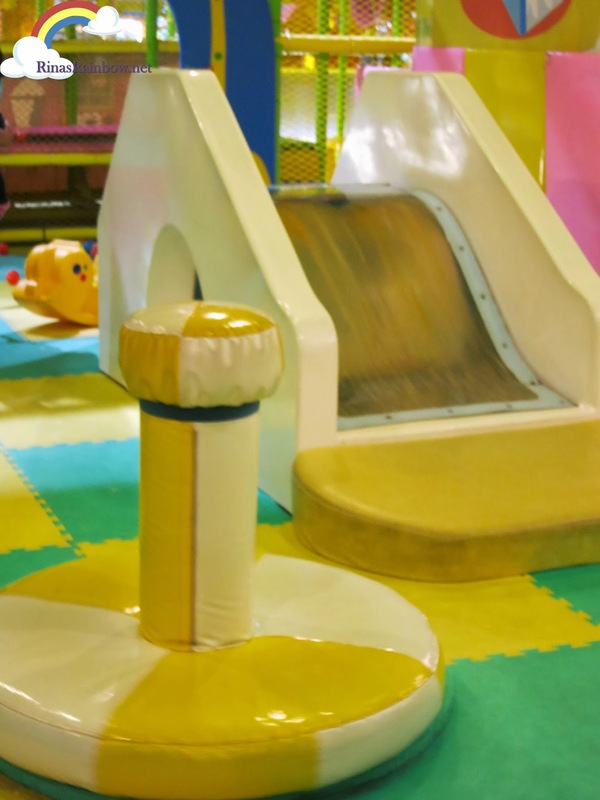 And with all the colorful padding, I believe it's the perfect place to let your toddler run around and practice her coordination skills! One time I was at Robinsons Galleria and so I took her to Tom's World. 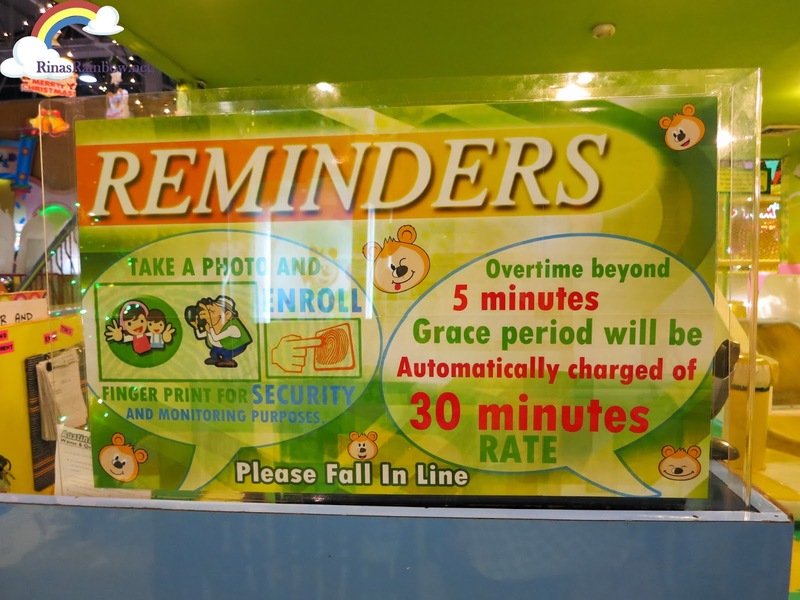 I thought at first that the place looked like a mini amusement park with rides for older kids. 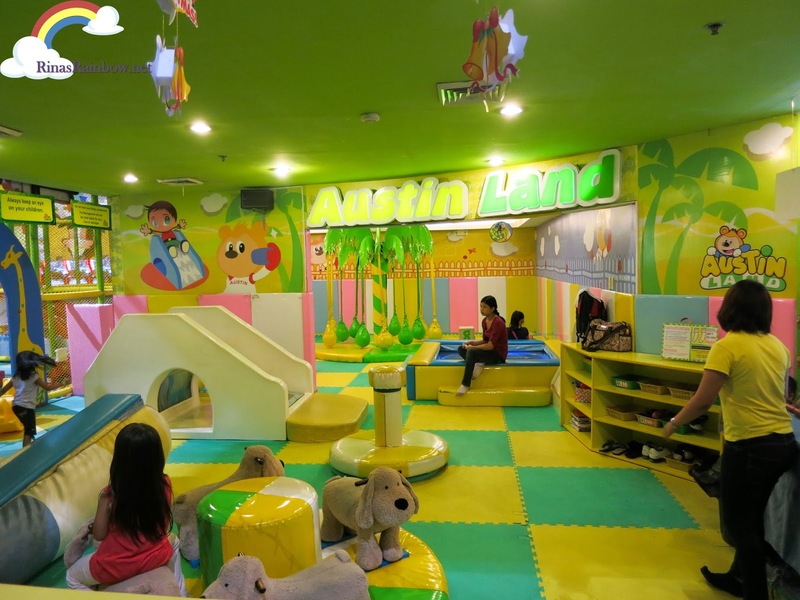 So I was relieved when I saw that they had a certain play area there called AustinLand. Now this is more for Rain! I was so excited for her. She was excited too! But little did I know it would not end very well :-( Nothing against AustinLand, really. It could have happened to anyone. But more on that later. First of all, I like how they designed the waiting area. Looks like a bar where you can easily just sit and watch your kid play. But yeah there are only 5 stool chairs. I just wish they had a secure stroller parking area. 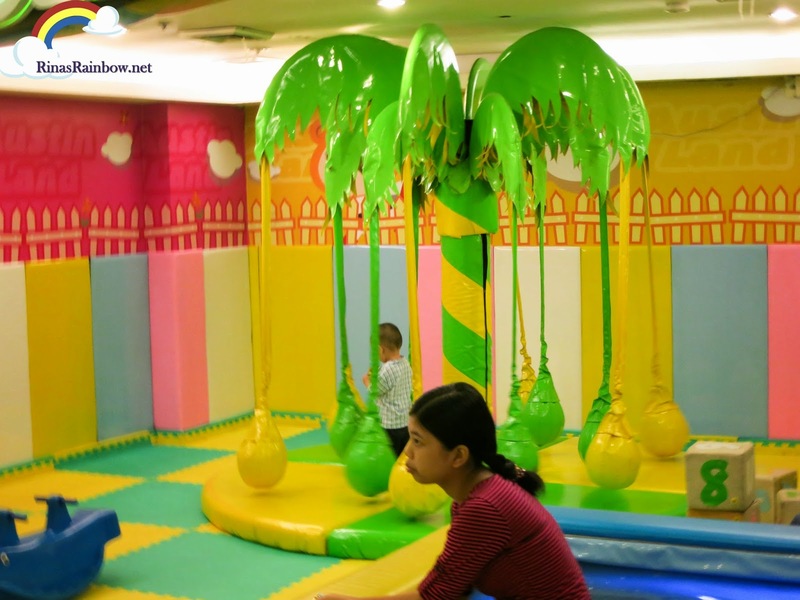 Upon checking your child in, it's the same as other play places where they take a photo of you and your kid, and even get your finger print for security and monitoring purposes. I think the rate for Unlimited play is Php 200. They also sell socks for only Php 15 in case you didn't bring any. Upon entering, a mini carousel awaits your little child. It's very slow, fully padded. So cute! And there are other padded stuff that turns or that you can jump on. I thought this slide with running water inside looked interesting. Sorry I couldn't get a closer photo. This was as far as my zoom lens could go. And as much as I would like to be the one to play with Rain inside and take better photos, I couldn't really count on the yaya to do my errands for me hehehe. Further towards the back, is a cool looking padded tropical tree that have long hanging coconuts that the kids can swing on like Tarzan. And then there was the other side of AustinLand where the other exciting stuff was. Like ball pools and slides! My little Rainbow loves slides! You can't see this part anymore from the waiting area bar. But you can walk and go around and watch your child through the nets. And so I went around the other side to take a photo of her sliding down before I went off to do my errands. Sigh... I was so upset that she didn't try to contact me as soon as it happened. I'm sure she was scared. But of course matters like these should be attended to immediately! Also, The staff has my contact number on record. Isn't that why they get the parent's contact details? She could have told the staff to get in touch with me if she didn't have load. Thankfully there was a clinic at the top floor of Robinsons where I had Rain checked. Unfortunately, their pedia was out of town but they made me talk to her over the phone. She said to just observe and put ice since Rain didn't look or sound like she was in pain. (She was actually playing with her toys at this point). And again thankfully later that day she started walking normally again. Just thought of sharing this experience to first time moms of toddlers. 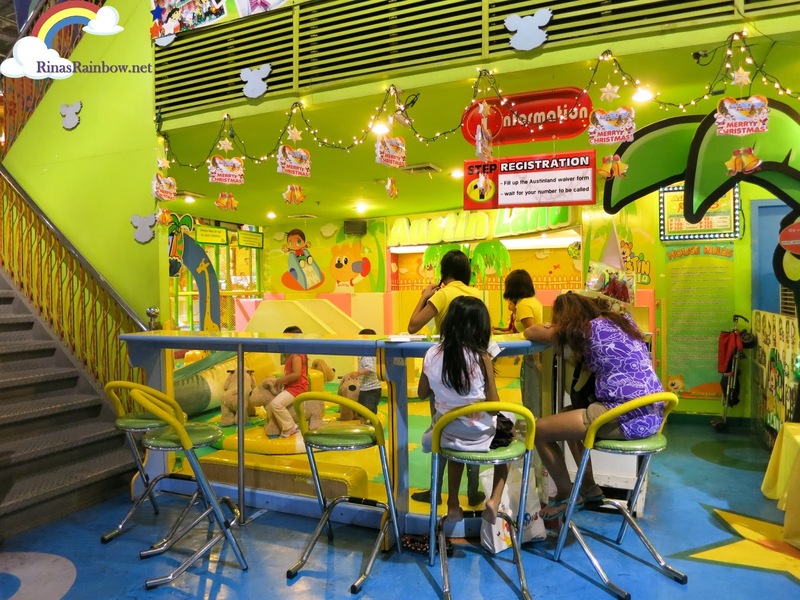 I know it's hard to see everything inside the play place if it's age-appropriate, but I guess best to ask the staff so you can already give instructions to your child's care taker on what stuff to play and what not to play with. Play places are nice too and Geoff enjoys it just as much. Sometimes lang, the big kids become so rowdy na nasasagasaan nila si Geoff or some little kids when they're playing.